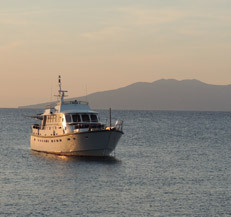 Rum Jungle is the perfect little ship for special occasions and holidays. The crew are never happier than seeing the smiles on guests’ faces after perfect days on the water. All the ingredients are there, talk to us about how to put these together for your perfect experience. Guest accommodation for ten in five cabins, all en-suite, including a beautiful stateroom with its own bath and study. The team at Rum Jungle start with your ideal plan and then work with you to make this happen, the only strict rule on Rum Jungle is ‘that there are no rules’. Read about ideas for the perfect holiday. 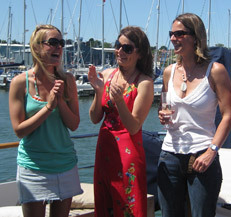 Read about parties and celebrations on board.